Thanks for posting them Ted. looks great!!! a really nice job. Absolutely amazing work Gino. 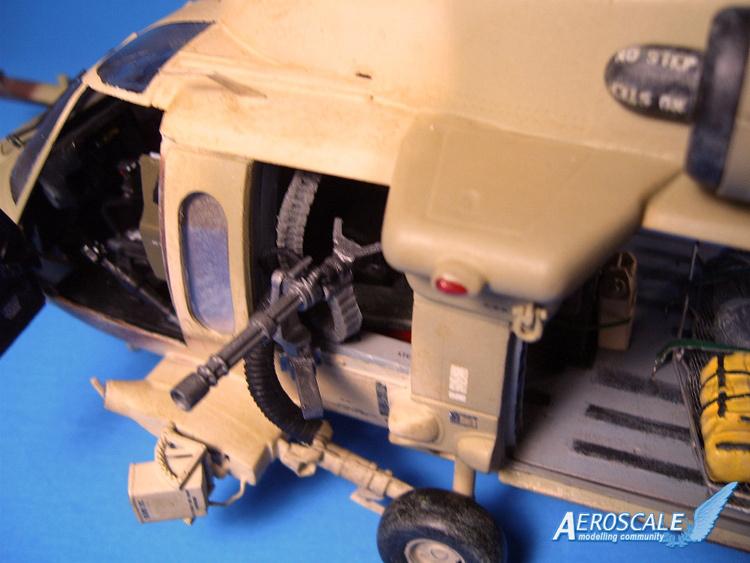 I can't wait to start my UH-60. Yours is inspirational. I can't help but ask one question though.......Is the "star and bars" decal on the front of the engine fairing really supposed to be upside down? Again, great work. Thanks guys. Glad everyone likes it. It was a really fun build. Yup, it is correct. It isn't actually upside down. It points in the direction of flight. When viewed from above, it is pointing forward and is upright. I love this model. Amazing job. Good deal. I picked up an Academy USMC M1A1 Iraq 2003 kit w/the 40% off coupon as well. Before you laugh about the inaccurate Academy M1A1 2003 kit, here's the kicker.... someone had swapped out the inaccurately short turret for one from the new(ish) Tamiya M1A1/A2 kit turret. What a find. It was even marked down because the box was not cello wrapped. I paid less than $20 for it. Good luck on your Pave Hawk. Post some pics as you get going on it.